That’s right, six. Four OT VIIIs and two OT VIIs. The flash point for these and many other Scientologists has been the increasing “Thought Police” interviews, as described in my last post. That, and the fact that they are finding out that many of their friends have also left the Church in disgust. They are finding that many of their fellow OTs and Scientologists share their opposition to the current off-Policy and criminal direction of David Miscavige’s Church of Scientology. A tip to the “Ethics Officers” conducting these interviews: You know that question about “do you have any friends who are disillusioned/disenchanted/disaffected? Don’t even bother asking. The answer is yes, most of them. 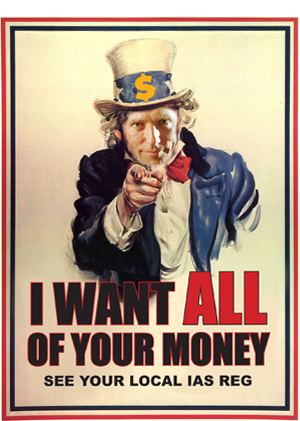 Apparently, Miscavige’s new “strategy,” if one can call it that, is called the “Triangular Strategy,” which means “expanding Scientology” through (1) IAS donations, (2) Ideal Org donations and (3) Library donations. Or, in other words, (1) Squeeze money out of Scientologists, (2) Squeeze more money, and (3) Squeeze even more money. All of it is donations, forbidden by LRH. None of it involves the delivery of services. And as the money dries up, as more and more people are leaving, withdrawing their support, Miscavige gets more and more desperate. Now the only thing they have left is force, duress and stress, and it’s driving more and more people away. I hope that David Miscavige, as he’s addressing this year’s IAS Event, realizes, as he looks out over the audience, that many in attendance, and thousands more who are not, know exactly what he is up to. And they’re not putting up with it any more. The walls of the Cult of Miscavology are indeed tumbling into rubble – thanks for this latest good news. May I ask what area these OTs are from? When viewed from the outside, self-destruction is a puzzling phenomena. How can such obviously harmful and self-defeating actions be so actively undertaken? For almost a decade I have watched (and personally experienced) FLAG systematically and actively drive away the staunchest public supporters: the OT’s. Here is the latest. In the face of overwhelming evidence that FLAG’s way of handling their public, specifically their OT public, is not working-management continues down the same, self-destructive path. Anyone who has been on OT VII knows that just getting through the level takes damn near all your free time and requires serious levels of discretionary income. There is little time left over for family, true professional achievement at work, pursuing your own passions and interests in life (or as Flag calls that “other fish to fry”) . The noose around the OT’s neck as gotten tighter and tighter over the years until finally there is only one acceptable valence to be in. It is perfectly outline above. ALL your free time, ALL your income, ALL your family, friends and acquaintances, ALL your goals, postulates and dreams put to the service of organized Scientology. Ironic isn’t it that the OT’s have spent decades and millions of dollars freeing themselves from false and imposed forces, actions, ideas and valences only to be allowed a single, acceptable valence (mandatory) at the top of the Bridge. THAT is not a free being and THAT is not the Road to Freedom. Incredible! Great series of posts, Rebel008!!! whooo hoooooo great posts what comes around is going around! A short, but vital video, of the reverse processing used by DM to enforce his complete violation of LRH policy on ‘fund raising’ is now on the interweb. What DM is doing, not only in these ‘ethics’ interviews, he’s making auditors do to public in session. He’s reversed the Introspection Rundown and is intentionally introspecting public, staff and any he can. The issue in question is 23 Jan 74. Read the issue and see for yourself whether or not it’s been reverse run on you or your friends. Apparently this new IAS strategy was in use in a galaxy far far away a long time ago. Didn’t work too well then, either. I love the way you “critics” take a line out of a PL, quote it out of context and assert that this is all there is to the Philosophy which is why you and Miscavige are basically two sides of the same coin. Please, let’s try to be respectful of each other. It’s easy to take pot shots back and forth; it’s more difficult to try to understand other viewpoints and respect people even when you don’t agree with them. You just can’t keep mistreating people and expect them to keep taking it. No names given. How does anyone know if they’re double counting? Another article somewhere else could say the same thing next week, but there would be know way to know if it was the same 6 or another 6. Scientology is bunk and dangerous, but I’d rather deal in facts than cheerleading. I respect these people’s privacy. Whether they want to reveal their names publicly is their decision. When I hear of someone new out, I let you know. If you feel that’s “cheerleading” then you have the right to simply ignore my posts. I’m critical on dox myself, but if we happen to see six more ex-Scis of the respective OT levels before they left speak out, then dox has been provided. In the meantime, I’ll take this as good news and hope these ex-Scis add their voice if and when they are ready. Right while accusing others of generalizing you generalize yourself. Asks for “facts” while at the same time forward conjecture and opinion. I just love the imagery of Miscavage standing up in front of all those people in that circus tent, knowing that his withholds are being missed, not knowing who in that tent are really privy to what he’s been up to, paranoid, with his gestapo RTC team surrounding him. What a visual! I just pity those staff and public who have to endure hours of his BS and then again endure all the crush regging. Will he show? There’s evidence on Marty’s blog that suggests extras were hired to fill the tent. No doubt with donations from the public. Are they mostly USA? or From all over? I for one hope that Miscavidge does not realize that he’s losing people. I prefer to have the current situation continue, where he is being sheltered from the whole truth as his underlings continue to fabricate false stats to keep their leader from exploding in anger. He’s doing a much better job then the OG and Anonymous ever hoped to accomplish. Why stop him? I believe that this is because one can only push people so far before they get fed up. There are people who never get fed up, no matter what, even unto the grave, but those are very rare birds indeed, I think. Yeaaaaaaaaaaaah! :O) Thank you for sharing this with the group. Soderqvist1: I have only my own fishes to fry! I did think that Flag was a kind of cook school there I could learn how to fry my fishes deliciously, and afterward invite my friends to eat such a meal with me, and have a good time together, and they too would like to be educated in that school’s finesse, and invite friends to a meal. So I am sorry to hear that you are not interested in educate others in frying their fishes, so don’t be surprised when connoisseurs drop out until there is no one left to fry your fishes! Since these people are now out are there names available? I am trying to open my mothers eyes to what is going on and if I knew who these people were or maybe I could tell her that would help. Otherwise I tell her “6 more people haver left” and she asks who and I have no answer for her. Rebel008, I notice that this question keeps coming up, are two of the OT8s you reference the two ladies mentioned on MR’s site or are these six in addition to those two? Specifics please. Six more out… who. I dig the blog, keep up the good work. You make a valid point, I think Mr. COB is probably feeling pretty lonely right about now. When he resigns himself I hope he doesn’t take all the hard-earned Scientologist dollars with him. 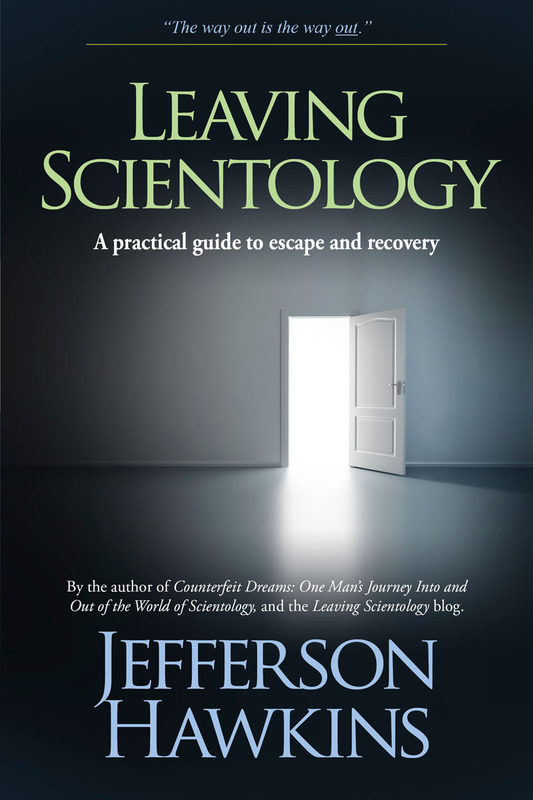 The telltale sign of his resignation would more than likely be the sale of Scientology property holdings, which is what I’m guessing his next move would be when the money dries up. Actions speak louder than words. I dont understand most of the wording but from every thing I read it screams out scam can understand a child maybe not …….. how can adult fall for it how about the people in the pison things how do they get out get help if they want out. why would any one allow this to happen to them selfs or there family. I just dont get it.